Do you remember what your life was like before kids? What did you do on a daily basis, what took up your time and what kind of things did you enjoy doing? It’s hard to step back in those shoes and recall the day-to-day responsibilities of what seems so long ago. At least for me it does. As you examine your life now, my question for you is....did you lose yourself along the way? 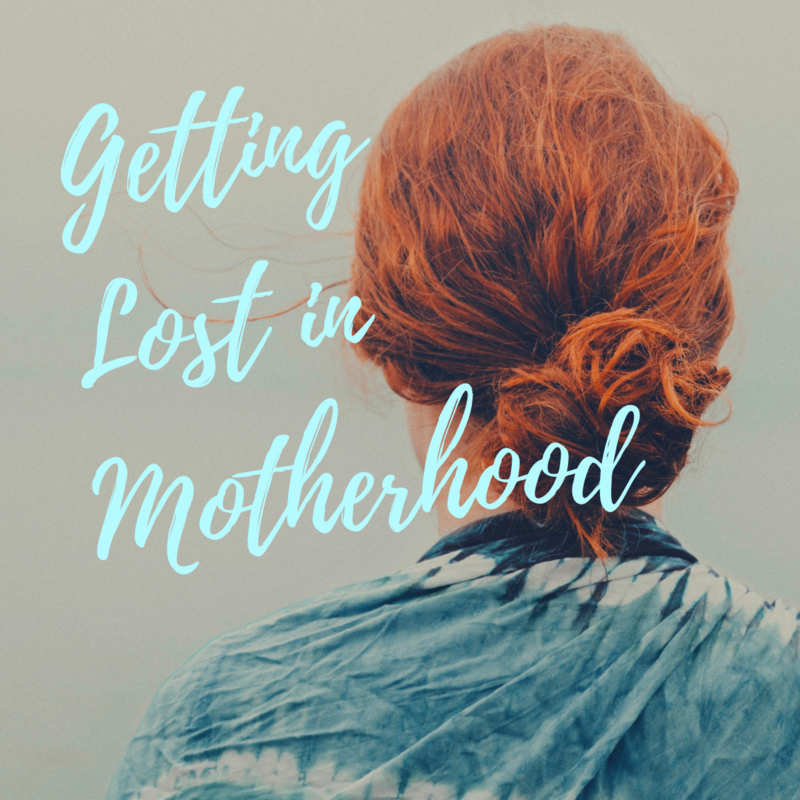 Did you get lost in motherhood? Are you lost in motherhood right now? Motherhood is full of adapting and morphing into different roles. We are forced to learn that from the get-go. I remember bringing my oldest son home from the hospital and being alone with him for the first day and thinking, “What am I supposed to do? No one really trained me how to do this really important job.” Before I brought him home, I felt like a child, free to do as I liked. Parenthood is definitely a big role change! But, we all figure it out and we do what works best for us. Each new day, each new year and each new age and stage of our children’s lives, reveals an uncharted path that we bravely walk. From referee, cook, personal attendant, caregiver, snot-wiper, diaper changer and cuddler, we are adept at anything and everything thrown our way. We are the masters of multi-tasking and we somehow always manage to keep all balls in the air. All the while, making sure our children are placed first. After all, they desperately need us when they are young and that’s a task we gladly take on and take responsibility for. When I think of those early days, it’s as if I am pulling a big suitcase behind me full of everyone else’s possessions and needs. Some days that suitcase is really heavy, sometimes it feels light and it’s effortless to pull around, and some days, it would be nice if it got lost in baggage claim for a couple hours so I could sit down and take a nap. I know you understand. The one thing that never changes when you're a parent is the suitcase is always there. Then, there comes the day when the dreaded teenage years arrive. I don’t think the suitcase gets any lighter, it just changes shape to something really hard to manage and navigate. God bless mothers of teenagers. I’m just starting down that path with two of my own and some days I wake up and I question if they are really mine. It’s as if one day a switch gets flipped and overnight they don’t want to hang out with you anymore, sweetness is replaced with sarcasm and their friends become the center of their world. I remember the day I realized I had got lost in motherhood. Not so lost I couldn’t find my way out, but lost enough that I felt bewildered. We had just moved back from Singapore, the boys returned to school full-time after being home with me for the summer and I was alone in a house on 10 acres with no friends or family. I didn’t know what to do with myself. Have you ever been in a similar situation, place, or time when you realized your kids didn't really need you so much anymore and you’re left standing there thinking, “Now what?” I think this is a very common experience for many mothers. Slowly, along the way, we were getting lost in motherhood. It’s as if we erected houses and filled them with joy, laughter, to-do lists and routines and then one day, all the other occupants besides us leave. Not permanently, but for extended enough periods of time that we are left standing in a very quiet house wondering what we are supposed to be doing with ourselves. Who are we? This feeling of being lost can be scary and it can also be a time of discovery. Life is about perspective. Instead of focusing on what could make us feel lonely and sad, we have a choice to put a different frame around the situation and totally shift our emotions in a positive way. Are you in this season of life now? If so, what are you doing to manage the shift? I urge you to use this time re-discover what you're passionate about. Let this period be a fun time and fill it with new experiences that push you out of your comfort zone and ultimately lead to health and happiness. Leslie de Graaf is the owner of Statera Counseling in Louisiana. She is a Licensed Professional Counselor, wife, mom and health and happiness coach. Her passion and purpose in life is to help women manifest health, happiness and success.